People power makes a difference. 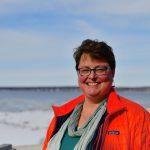 The Alaskans who took control of the Fairbanks public hearing on oil and gas leasing in the Arctic National Wildlife Refuge this month were not protesters. As Jenny Bell June points out, they were protectors . Refuge.They were indigenous elders and leaders. They were Alaskans of all ages and backgrounds. They spoke up to protect their homes. They spoke up to protect their way of life. 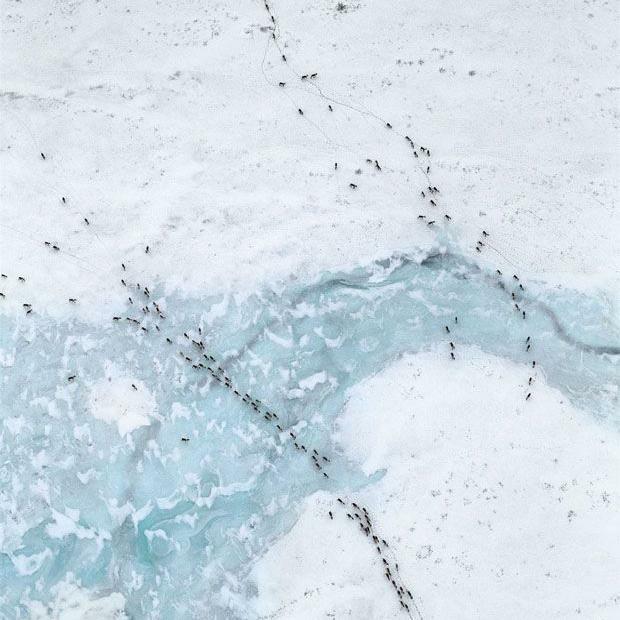 They spoke up to protect the Porcupine Caribou Herd. They spoke up to defend sacred land. They talked about how industrial exploitation harms animals and people. They gave voice to the land, water and animals that cannot speak, but to which we owe our ultimate survival. They spoke forcefully and with heart to voice their opposition to industrial activity in the Arctic Refuge and the sacred coastal plain. Their respectful, powerful takeover of that meeting compelled the Bureau of Land Management to alter the format of its later meetings to allow people to speak out publically and visibly. A transparent, inclusive public process allows people to speak as long as they need to and to speak in their language. It gives people enough notice to make plans to participate. It does not presume conclusions or overly control process. Not that BLM conformed to this. BLM is rushing to judgment and valuing exploitation over protection. Yet, in the past year, Alaskans have asserted their right to have a say in what happens in their communities. They keep doing so despite national and state administrations that plan to hand over land to Outside private corporate interests that do not put the public interest first. Right now, showing up and speaking up matters. Telling BLM that its draft environmental impact statement for the Arctic National Wildlife Refuge has huge flaws and omissions matters. 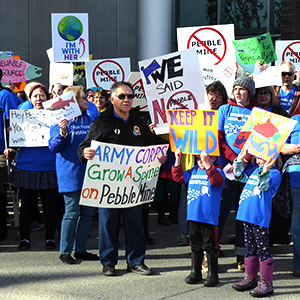 Telling the Army Corps of Engineers that its draft environmental impact statement for the proposed Pebble mine lacks scientific and economic integrity matters. The comments we make now build the record of concerns, science, traditional knowledge, and breadth of impacts that the agencies must consider, and yet has not. An evaluation of the impacts of massive industrial projects is required and meant to protect the water, land, and communities that support us. Public comment periods are not the only way for us to speak up for our future, but they are key to holding our public servants and agencies accountable. Sometimes, as Fairbanks proved, a public meeting can even shift from a controlled, bureaucratic affair where public servants tell you where, when and how to speak to one in which the people remind us all about what democracy looks like and the importance of making our voices heard. The Army Corps draft environmental impact statement discards sound science on every level and fails to address and respect the public concerns aired by the people of Alaska and Bristol Bay for over a decade . In December, the Trump administration released a rushed draft environmental impact statement aimed at pushing oil and gas drilling in the coastal plain of the Arctic National Wildlife Refuge. 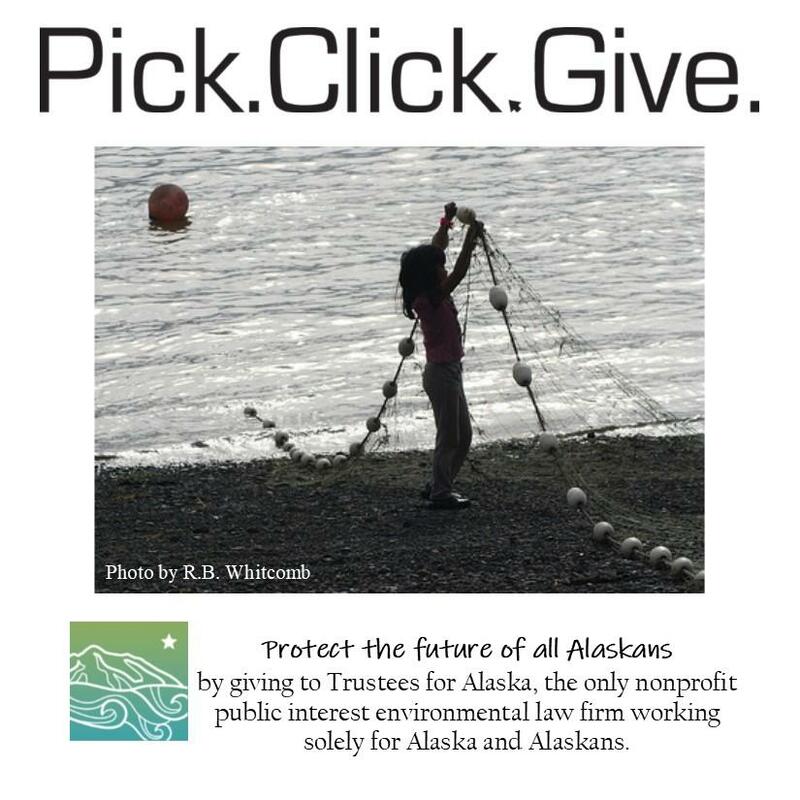 Protect what you love about Alaska: Pick.Click.Give. This year, use a portion of your PFD to defend and protect Alaska land, water, wildlife and people.